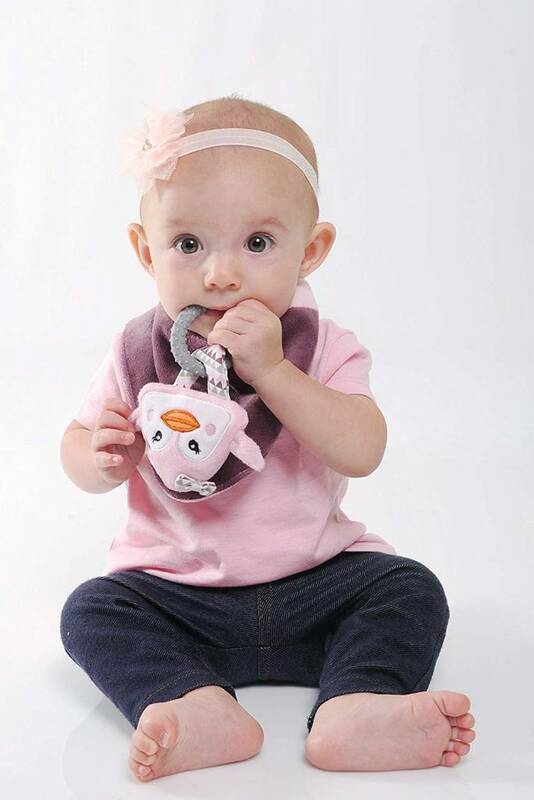 Malarkey Kids, the inventor of the must have teether – the Munch Mitt – introduces the handy 3 in 1 Buddy Bib. 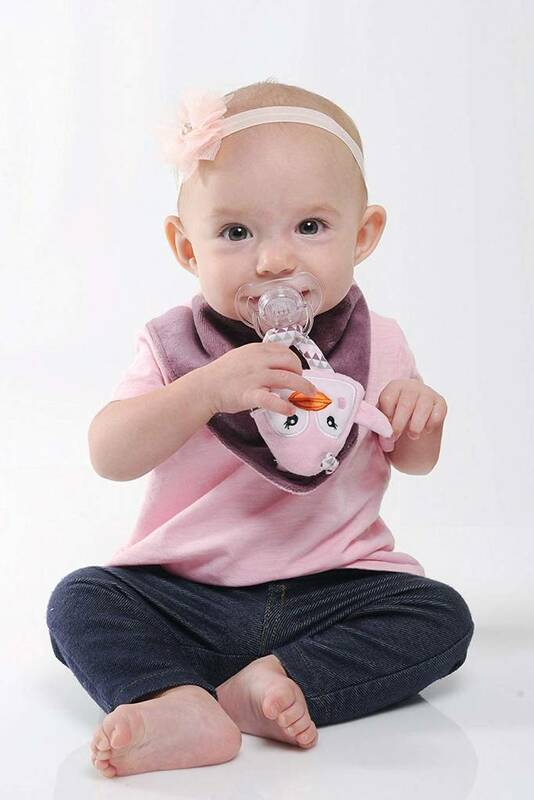 Get a teething ring, popular plush toy, pacifier holder and super absorbent bib all for one affordable price! 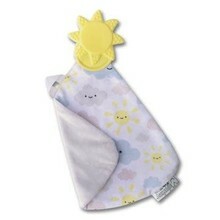 The cotton bib has a waterproof layer sewn in, so baby’s delicate skin does not become irritated and clothes stay dry. The three snaps adjust to fit your growing baby. Suggested age 3-6 month. 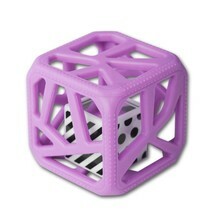 Baby can relieve teething pain with the 100% silicone BPA free teether ring or it can be removed and replaced with a pacifier (pacifier not included). The adorable plush toy makes a sensory stimulating crinkle noise when baby squeezes it. Its adjustable strap allows you to strap it to a car seat or stroller handle making it perfect for travel. Plush buddy should be affixed to bib upside down (so that is it facing baby when worn). This way he/she can interact with the plush buddy and have easiest access to their soother/teether. Machine washable. Dry on low/no heat fluff or delicate cycle. Silicone teether should be hand washed.